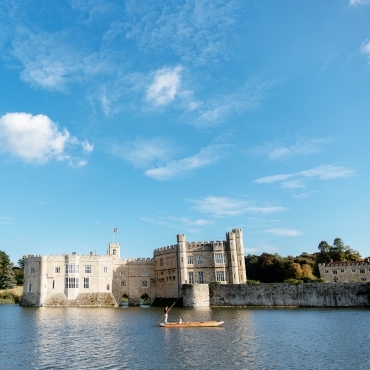 One of the most visited historic buildings in Britian, Leeds Castle has been a Norman stronghold; a palace used by Henry VIII, a Jacobean country house and a Georgian mansion. A beautiful historic city, with the oldest Cathedral in England. 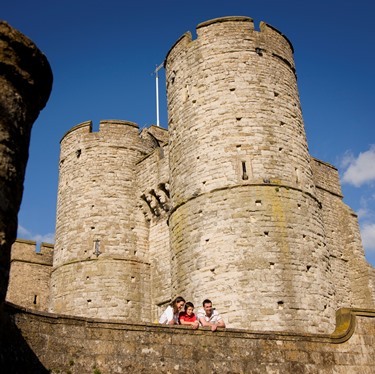 Canterbury's history is also evident in its Roman Walls and medieval gatehouses. Its most iconic gatehouse, West Gate, is a popular attraction, with gardens and its own museum. Passengers travelling to Leeds Castle will be transferred by road coach between the train and the castle. Fares for this tour start from £99 in Premium Standard, £149 in First Class, £199 in Premier Dining and £259 in Pullman Style Dining. 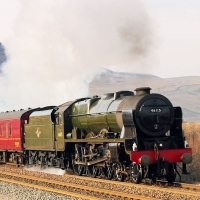 The steam hauled section(s) of this trip are expected to be hauled by a steam engine from a pool of locomotives based in the north of England. This pool of locomotives normally includes 46115 Scots Guardsman, 45699 Galatea, 45690 Leander, 35018 British India Line and Stanier 8F 48151 but may vary throughout the year.